Sitting at an average of over 14,000 feet above sea level, Tibet is breath-taking in many ways. The mountain vistas and cliff-side temples, combined with the ancient religious practices and profoundly kind people create an environment that is transformative on every level. Take the trip of a lifetime and engage this Himalayan kingdom with your whole being–the result will be inspiring. It is said that the Buddhist tradition is not fully established in a location until ``the four families`` of practitioners are represented. They are lay women and men and monastic women and men. 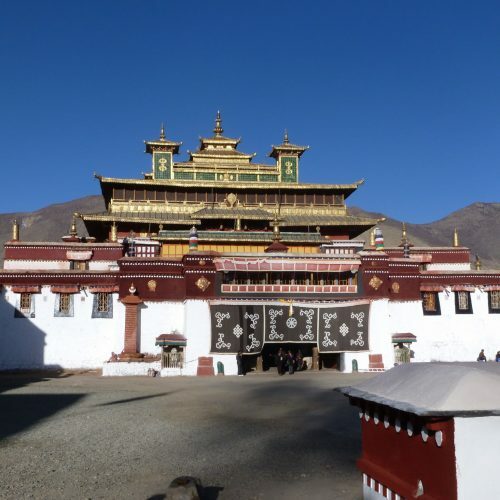 In turn, when Buddhism came to Tibet, the Dharma-king Trisong Detsen asked the visiting India Buddhist masters--Santarakshita and Padmasambhava--to establish a monastery. 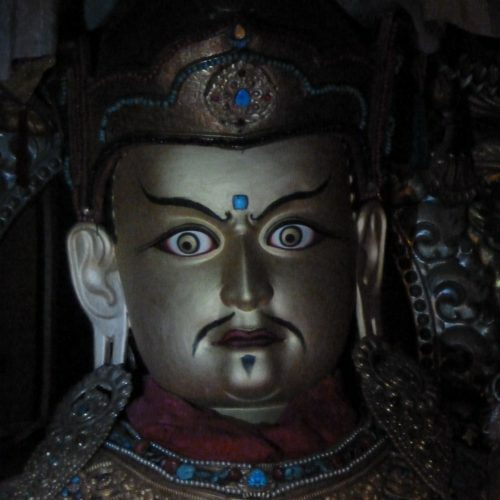 In turn, they created Samye, literally meaning inconceivable (or maybe mind-blowing). The name was given because the monastery exceeded the expectations of everyone involved. Come see it for yourself! Sakya--literally meaning ``grey earth``--was founded by Khon Khonchok Gyalpo in the eleventh century and has housed the Sakya lineage since this time. 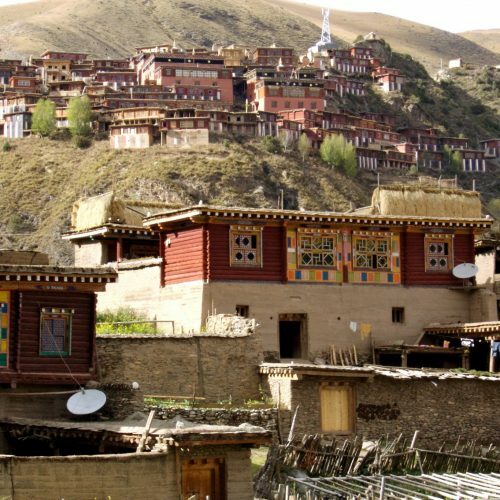 Set in a remote valley in southern Tibet, Sakya is the perfect place to stroll through Tibetan streets, sip tea and explore an amazing representation of Tibetan Buddhism. The eastern Tibetan state of Kham is home to numerous monasteries, temples, and hermitages, as well as an extant population of vibrant practitioners. The locations are endless: Yamdrok Tso lake, Dzongsar Monastery, Dzogchen Monastery, Derge city, and much more. While not as often visited as central Tibet, Kham is filled with great opportunities for exploration and transformation. 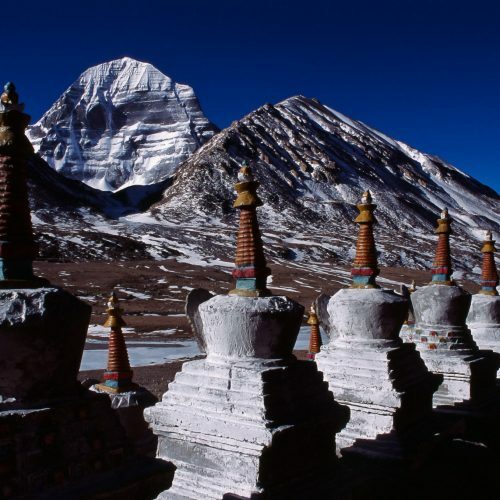 Mount Kailash is considered by (most) Hindus, Buddhists, and Sikhs to be the center of the universe. Pilgrims have been coming to this region for centuries, circumabulating the mountain and lake, expressing their appreciation for both the world we live in and their particular tradition. This location is breath-taking in every way. We require all visitors that we work with to remain particularly respectful of the physical space and those who occupy it as it is unmistakably one-of-a-kind. 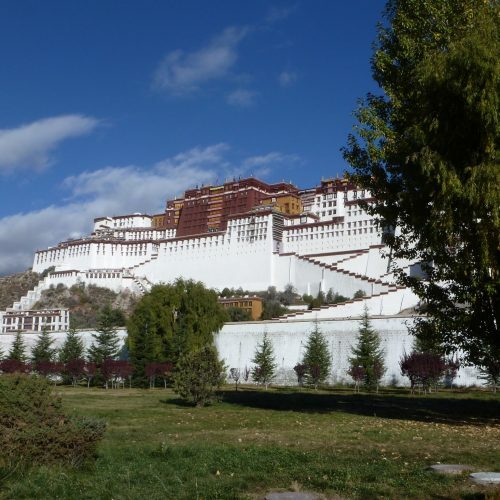 Lhasa has served as the home of the Tibetan central government since the eighth-century, including for the Dalai Lama since his fifth incarnation. The city is filled with ancient artifacts, robust urban markets and astounding feats of architecture such as the Potala palace. While nearly every trip to Tibet includes the capital city, this should not deter you as it is nonetheless well worth a visit. 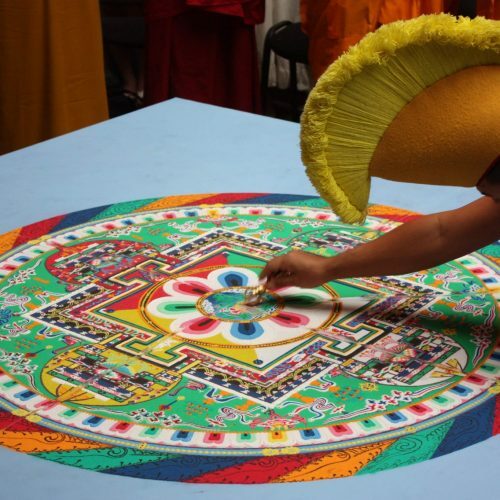 Tibetan arts and crafts are an often overlooked element of this dynamic culture. They are not to be missed, however! The centuries-old traditions of medicinal, creative, and expressive arts are well worth exploration and engagement. Let us craft an itinerary that takes you face-to-face with the artisans and crafts-people so that you can witness the creative process first-hand.